This web page is dedicated to the accomplishments of Hans Mattsson and his dealings with the Mormon Church. 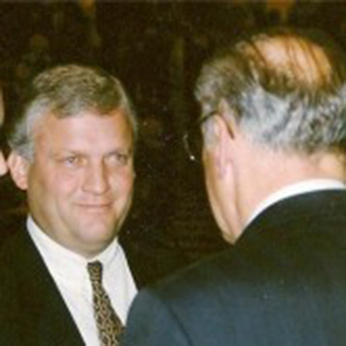 Hans Mattsson was a member of the 3rd Quorum of the Seventy of the LDS Church. He was at the time the highest-ranking LDS member in Sweden. He and his wife Birgitta are still members of the Church but have experienced a serious faith crisis which caused them to doubt much of what they believed about the divinity of the LDS Church. 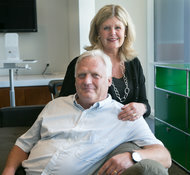 Former Seventy Hans Mattsson and his wife Birgitta came forward with their story on John Dehlin's mormonstories podcast episodes #430-434. In part 4 of the Mormon Stories Podcast, Hans talks about a special fireside he attended in Sweden. In November 2010, an emergency fireside was held in Stockholm Sweden by Elder Marlin Jensen (Church historian) and Elder Richard Turley (assistant Church historian) to address the faith crisis that ensued among an entire group of members and leaders in Stockholm Sweden including a stake president and a member of the Quorum of the Seventy (General Authority). About 25 Swedes attended this fireside including all the local bishops and stake presidents. Those in attendance were those that were knowledgeable about the Church historical issues that were troubling many Swedes. The Swedes formed their own local mormonstories group and had over 600 FaceBook members. They would openly discuss these issues amongst themselves. Before the rest of the world knew about the fireside the Church historians held in Sweden, a document started circulating on the Internet that the Church sent to leaders in Sweden that they dubbed The Swedish Rescue. This document did not go into details about historical issues but rather gave a Philosophy of how the local Swedish Church leaders should handle the situation amongst their members. Please see the Swedish Rescue.